View pictures from Scott Compton during the Preservation Alliance for Greater Philadelphia‘s [sold-out] Preservation Rooftop Crawl event last night. Guests captured views from the roofs of two Preservation Achievement Award Winners: Developer Doug Jordan of Alterra Property Group described The Versailles – an elegant 1921 high-rise, Beaux Arts jewel designed by Frederick Webber, that was renovated for modern residences; and Architect Kevin Michals, of Cross Properties, Inc., spoke about the Art Deco tower named The Icon’s history and conversion to luxury apartments, which contains some of Philly’s finest early modern interiors. 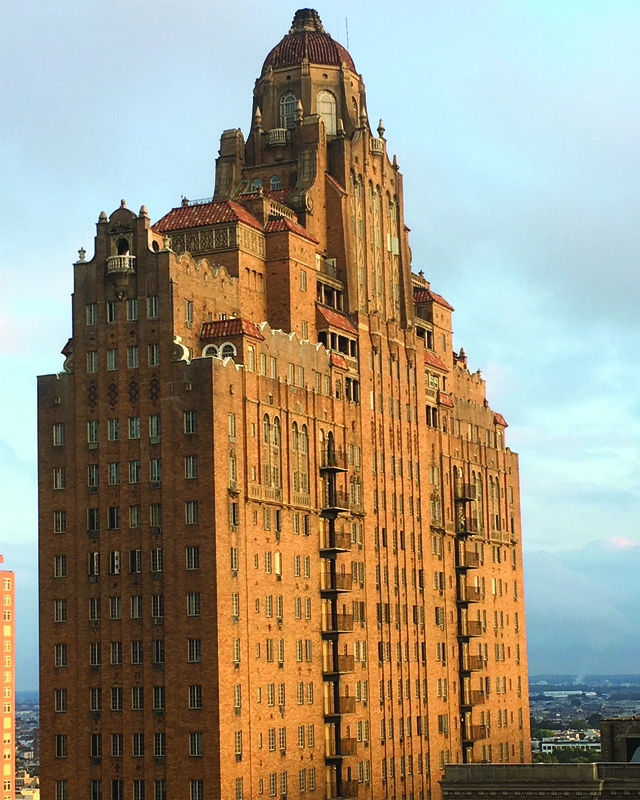 The Icon was the one-time home of Joseph Pew, founder of Sun Oil (Sunoco).